Cut the top and bottom off of the pineapple, peel and cut it crosswise into 8 rings, about 1/2-inch each. Use a spoon or apple corer to carve out the center core of each ring. Spray grill with cooking spray and allow to heat up to medium heat. 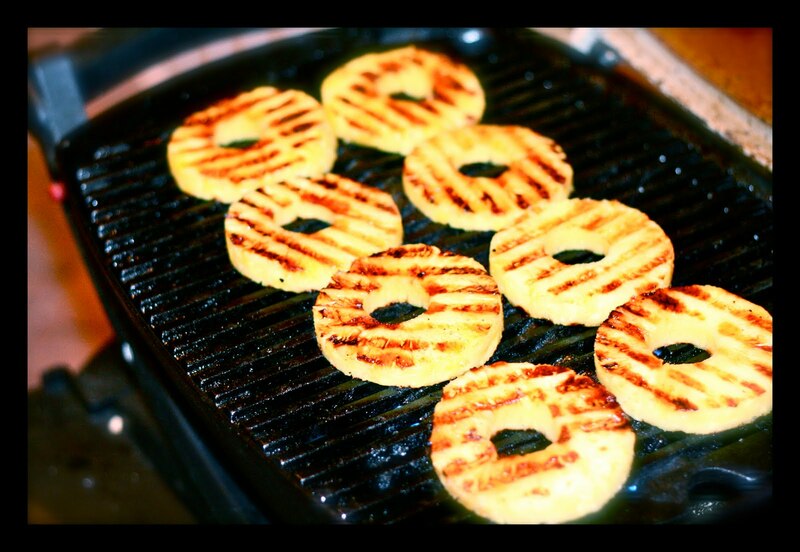 Grill the pineapple for 3 to 4 minutes on each side, until it is nice & brown and grill marks have appeared. While the last batch of pineapple cooks, heat the butter, sugar and rum in a small saucepan over a low heat, stirring, until the sugar is dissolved and the sauce has thickened slightly, about 2 minutes. Remove the sauce from the heat and stir in the vanilla. 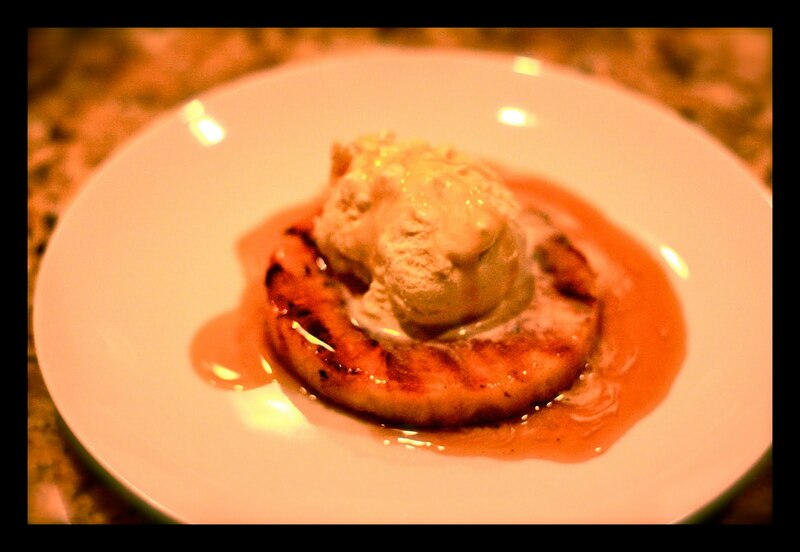 Place a pineapple ring on each plate, scoop 1/4 cup of ice cream into the center of the ring, and drizzle about 2 teaspoons of sauce on top (we used way more than that haha- i doubled the rum sauce recipe!). Note: I used this Vanilla Ice-Cream recipe!